Does homework cause unwanted stress in your family? Is your child bright but not able to plan effectively? Does your child struggle with starting or completing homework? Our C.E.O. (Concrete, Effective, and Organizational Strategies) After School Homework and Executive Functioning Program is designed to develop the executive functioning skills which bring academic success. 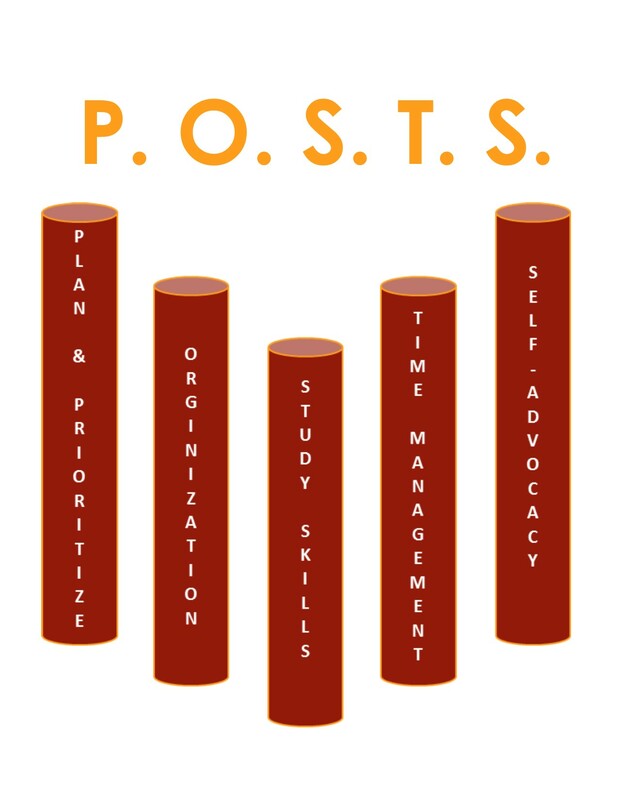 Through the use of our unique approach of focus on P.O.S.T.S. (Planning and prioritization, Organization, Study skills and working memory, Time-management and Self-advocacy) students not only gain control of their school work but also improve grades! Sundays – 3:00 to 5:00 p.m.
Tuesdays and Thursdays, 4:30 to 6:30 p.m.
Sundays – 5:00 to 7:00 p.m.
Tuesdays and Thursdays, 7:00 to 9:00 p.m.
Sundays – 5:30 to 7:30 p.m. If group sessions are not a fit for your child, click here for information on one-on-one academic coaching or tutoring programs. EMAIL US TODAY or call us at 303-771-1160 for additional details concerning the content of the program, pricing, dates, times and locations.